The ultra light, extra durable bicycle tube. For a long time, the innertube has been overlooked in the bicycle industry. We will change that. Our vision: the perfect innertube - street, trail or city - developed for the optimal cycling experience. Every gram counts, when it is up to cycling fun. Even more if you reduce the rotational weight. Tubolito offers an easy and achievable weight tuning. Lighter and more robust. We make the impossible possible. We are manufacturing the Innertube with a thermoplastic elastomer, called TPU. This group of materials is known for its durability and excellent damping abilities. It has replaced many rubber products in the automotive and pharma industry already. It was our goal to transform the excellent material characteristics into an outstanding bicycle product. We achieved that by reducing the number of contact areas and kept the seams to a minimum. 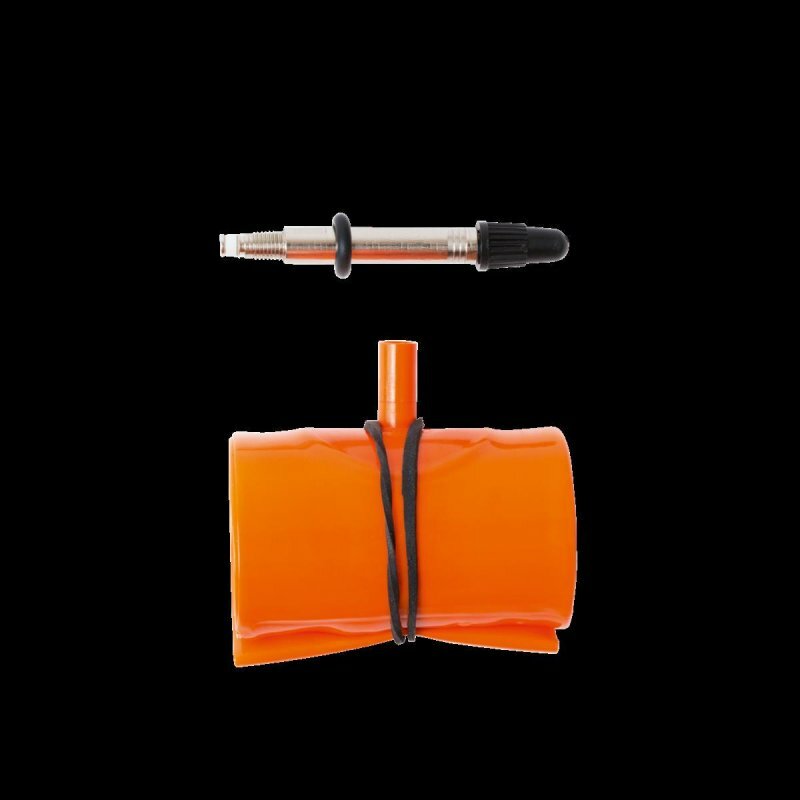 The tubolito inner tube is manufactured in Europe, and all assembly parts are sourced in Europe. This has some major advantages. We can maintain very high quality standards. We can realize fast innovations by having a short feedback loop between development and production site. We can maintain sustainability trough to short transport routes. Even lighter, even more compact, ideal as a spare tube: The S-Tubo-MTB product line was developed to have a minimum possible packaging size. 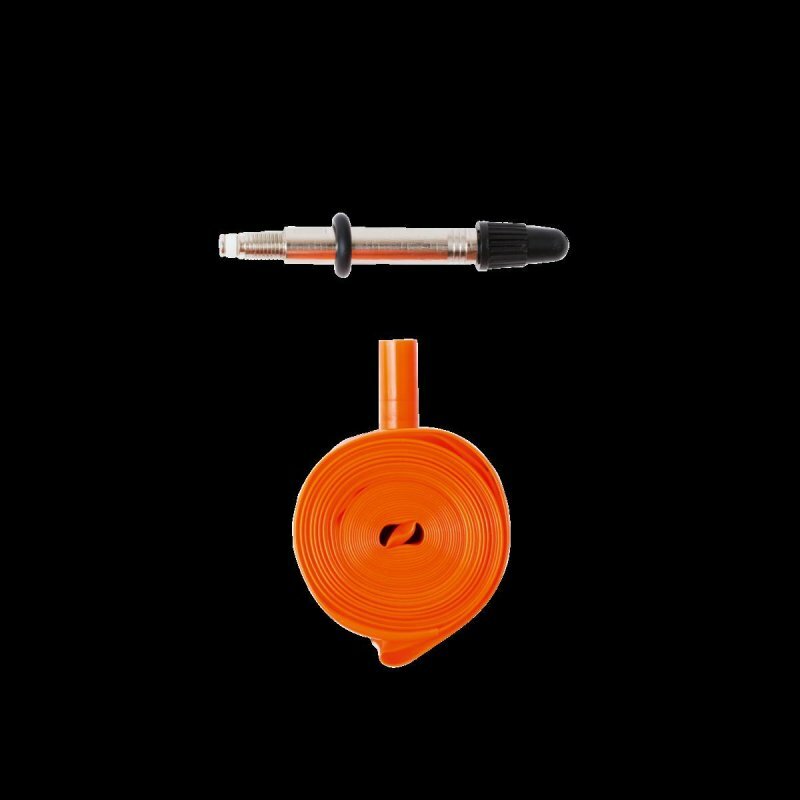 With a removable valve stem the tubes have a size of only Ø 3,5 cm x 5 cm height when packaged. 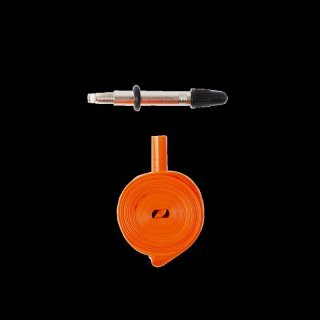 The puncture resistance is the same as with standard butyl rubber tubes with a weight of only 45 g (for 29").